We are very excited about the progress of our Managua Dental Clinic. 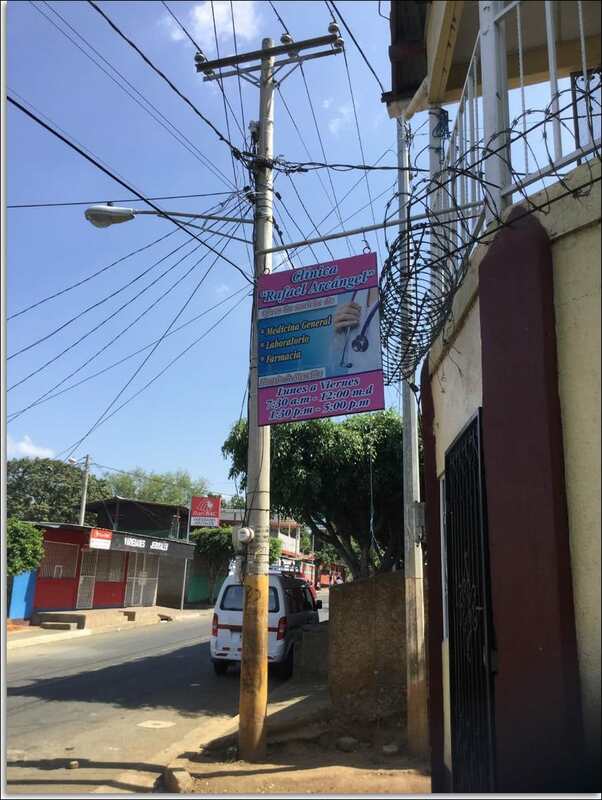 Our clinic is in the Barrio of Edgar Lang, which is in the western portion of Managua. It is a community of approximately 300 families, about 1500 people. It is a very working poor neighbourhood. Many are underemployed and when they are able to work, they average around $2.00/day. There is a real sense of pride in the community and our teams are made very welcome to the area. But Managua being Managua, we cannot walk at night in the areas unless accompanied by a local community member. Even at the hotel, we cannot leave the hotel, day or night for a walk. That did not prevent our groups from hiring taxis to tour the sights of Managua, or proceed on day trips to Granada (the oldest city in the Americas) or see the live volcano at Masaya about 45 minutes from Managua. One of our groups saw it at night and were able to capture some incredible pictures. 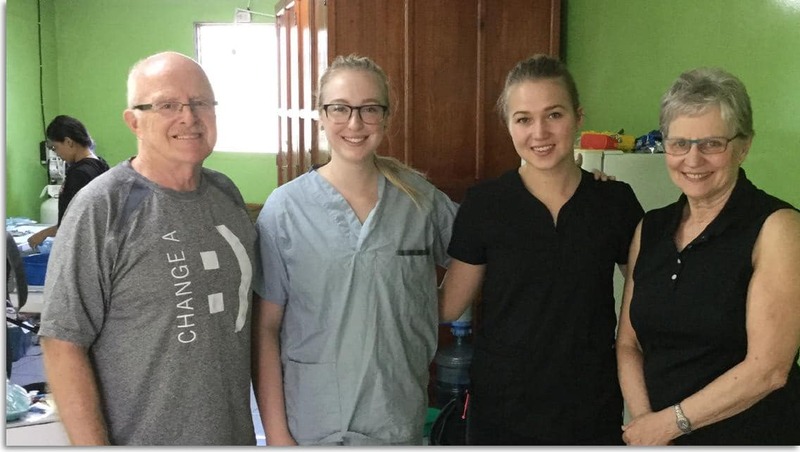 Bev and I had travelled to Edgar Lang last October with the purpose of establishing our dental clinic. With the assistance of Dr. Jim and Ann Thomas, we were able to purchase the required equipment and set the clinic up in 5 days, seeing our first patients on Monday. We were able to see and treat 108 patients in 8 working days. Fast forward to February 2017 and we have completed a four-week dental mission at the new clinic. We had a new group every week, starting with two hygienists from the University of Alberta for week one. Week two included a dentist from St. Albert and her daughter who assisted. Week three was composed of two dentists and a hygienist all from Edmonton. Week four was Bev and I. Compliments to our teams that travelled for an unknown experience, job well done. Special thank you to our support team from Nicaragua. Rosa who we trained in October to sterilize was again there for our four weeks. She is excellent in this position and has agreed to join our team again next year. Our interpreter, Victor (Rosa’s cousin) is entering 3rd-year law. This was his first exposure to interpreting and did an excellent job. True to his chosen profession, Victor asked many questions, which gave him the knowledge to better explain the procedures to the patient. We could not be more pleased in the way the clinic has transpired. 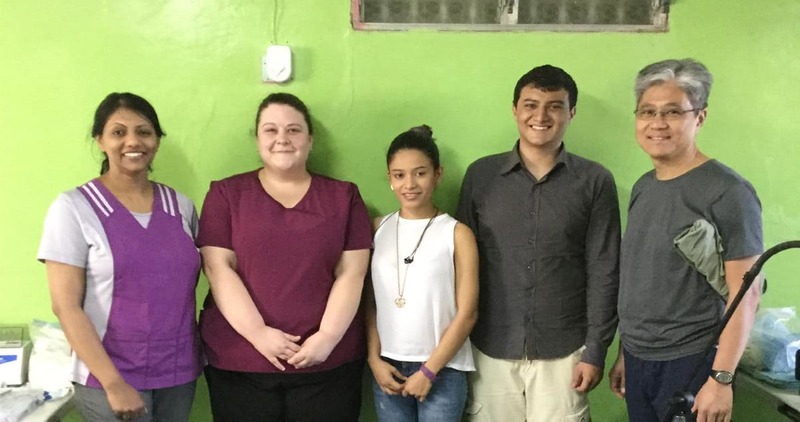 Our sponsoring group, FUNDACCO, has been so helpful, whether it is driving us to Walmart, picking us up daily at the hotel for our trip to the clinic or driving team members to their destinations after their rotation is completed. The Medical Doctor in the clinic coordinates the patients for our clinic. If they suffer from hypertension, she takes their blood pressure before they are sent upstairs to the dental clinic. She ensures their blood sugars are in the proper range before they are treated. We have charts with a small medical questionnaire and areas where we can put our treatment and comments for the next dentist who will see the patient. 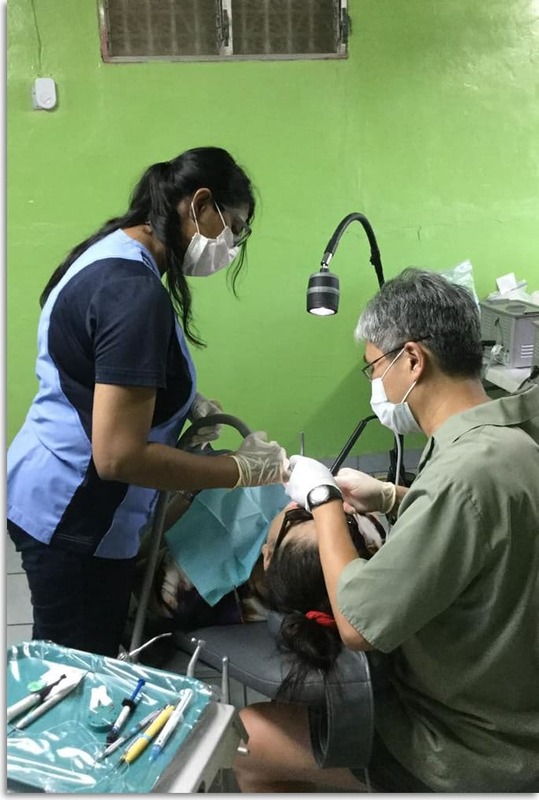 It is exciting this year as our volunteers are all first-time volunteers to Dentistry for All. It has been such a rewarding experience for Bev and me to see this clinic come to fruition. Bev had brought up the idea in November of 2015 and everything has just continued to fall into place. As with most of our missions, most of our patients were women(57%), followed by men (28 %), youth (13 to 17 yrs, 9%) and children (6%). There is still the misconception with people that “baby teeth” (diente de leche) are not important. We usually have to talk hard and fast to explain the benefit of restoring these teeth, rather than just extracting them. The other interesting aspect is that most of the patients want “white fillings”. 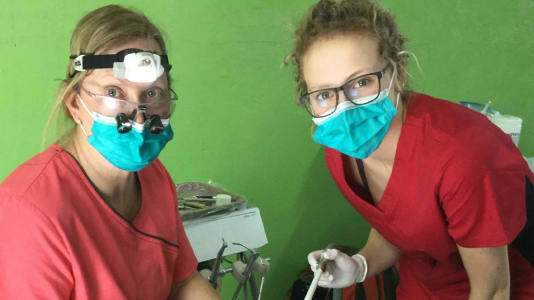 Things have changed dramatically in the 23 years that we have been doing dental missions. We even had a couple of patients requesting that their silver fillings be removed and be replaced with composites. These requests were turned down. All patients pay a certain amount for each procedure. The fees charged were determined by our sponsoring group in Managua, FUNDACCO. It is anywhere from a third to quarter what the local dentists would charge. The biggest saving is in teeth cleaning, as it would cost around 300 cordobas at the local dentist and we charge 20 cordobas (less than $1.00). We established this cost to stress the importance of oral hygiene and proper care of the oral cavity. I would estimate that 95 % of the people have never had their teeth cleaned. If we teach the parents, they will teach their children. When our clinic was completed, Luis Enrique, the head of FUNDACCO, informed us that the people were so pleased with the service that they had been provided by our teams. We were unable to see everyone but we are already planning our return mission in January of 2018. One last note, if you read our trip report of October 2016, I mentioned the young child that we had to extract the tooth on. She was able to attend our 2017 clinic two times and had all of her work completed with no problems at all. Every day she would shake the team members hand as we passed her home on the way to the clinic. She is pictured between her two brothers. We do make a difference.